Thank you for selecting me as the recipient of the 2016 Rabbi Stephen Arnold award. I am both honored and humbled to be following in the steps of the previous recipients of this service award. Receiving the Rabbi Arnold award is particularly meaningful to me because, although our roles were different, we arrived at Vassar Temple at the same time . Our family has been members of Vassar Temple for the past forty years. From the beginning Vassar temple has been and continues to be a very welcoming place, a place where my young diverse family was accepted and encouraged to participate fully. One’s skin color, religion of birth, income , gender or sexual orientation or political views do not matter. Anyone who wants to be involved in Temple Life is encouraged to take an active role. We continue to be encouraged to explore and deepen our spiritual life, look at our connections to G-d and the universe and find ways to make prayer meaningful. Some of us find those connections just sitting quietly, others by raising their voices in song together, others by chanting one line of a prayer over and over, and others by going out in nature as Rabbi Nachman and talking directly to G-d. We use masculine, feminine and gender neutral language. We are encouraged to speak from our hearts using the words of the prayer book or the words that come through our souls or no words and simply be present. Each individual’s has been nurtured at Vassar Temple. 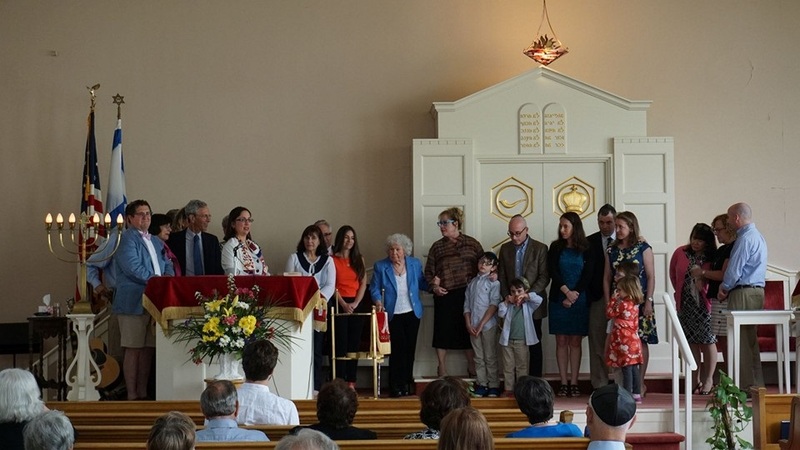 I am particularly struck during this season of Tshuvah, of Return at how Vassar Temple has provided a container for us to be part of and contribute to our community in ways that are meaningful, that reflect who we are. May each of us ,in our own way do the work of Elul , the work of return that will enable us to be open hearted, life affirming loving members of our family, our circle of friends, our Temple Community and the wider world. Every congregation is composed of Litvaks and Hasids. This is the Jewish equivalent of left-brain and right-brain. A Litvak is most interested in learning the facts and adhering to the letter of the law. Hasids are the ones who pay attention to the life of the spirit, and make it their life’s work to infuse joy and meaning into Jewish practice. In the 19th century this was illustrated by the Litvak studying Talmud and the Hasid going outside to hug trees. The Litvak clung to tradition and the Hasid advocated change. The Litvak nurtured a healthy skepticism while the Hasid was wildly optimistic. Each brings their own gifts to the modern synagogue, where we need both continuity and change, both joy and solemnity. In the organized Jewish world, we tend towards the Litvaks side. In Linda Cantor, our community has the blessing of a Hasid, with just a dash of Litvak in her. Linda brings a deep, spiritual dimension to everything she encounters: teaching the rest of us Litvaks meditation and bringing her energy and joy to our prayer and our learning. But Linda also brings a sense of commitment and determination to everything she does, making sure things get done, and get done right, as only a Litvak can do. Linda has brought her dual personalities to our Adult Education Program, our Ritual Committee and our Nachamu committee. She has been instrumental in planning our Shabbatonim and the annual Fannie Berlin lecture, finding inspiring speakers and often teaching sessions herself when she was able. Linda was a founding davenner in our New Paths service. 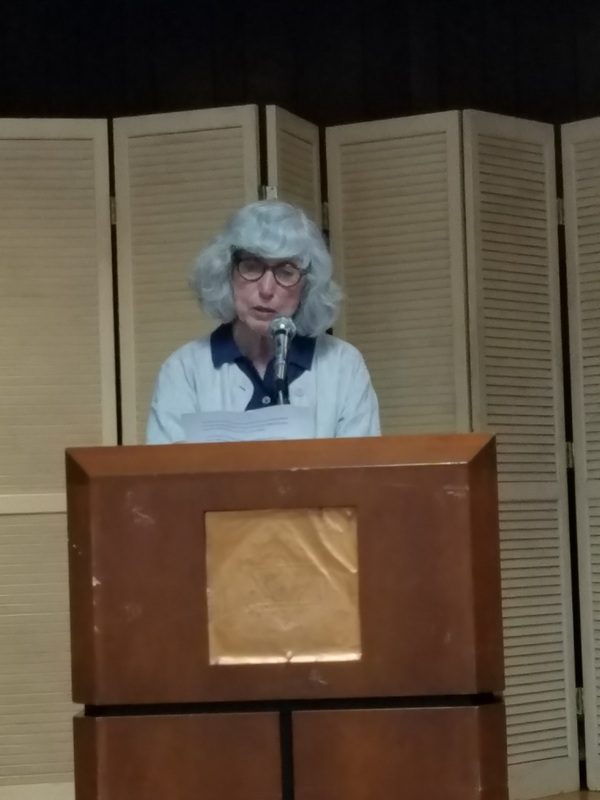 Perhaps the greatest contribution that Linda is currently making to our synagogue is the groundbreaking Wise Aging Program. Together with Debbie Golomb, Linda has been helping people to navigate the third chapter of their lives from both a practical and a spiritual standpoint. Linda is able to have conversations with people that others might find uncomfortable to start, about how we live our lives spiritually and what we are doing to grow. 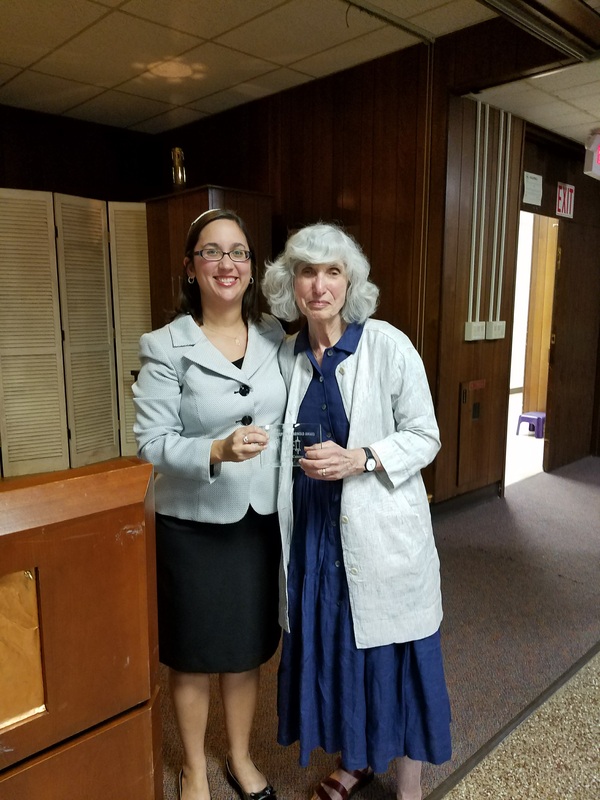 Linda has been particularly supportive and nurturing to me during my first year at Vassar Temple, helping me with various projects, and encouraging me to nurture my inner Hasid as well with classes at Omega and workshops with the Institute of Jewish Spirituality. I’m grateful to her for helping me to take a step back, take a deep breath, and remember why we do what we do. Hasid comes from the same root as the word hesed which means loving-kindness. This word, too, is embodied in Linda Cantor. She always has a kind smile and a gentle word for everyone, which is a rare thing in this day and age. I am delighted that she is being honored tonight, and I wish her yishar kochech, continued strength, as she goes forward. It is appropriate that we honor Linda with this blessing on the night of Selichot. As the Book of Life opens, we pray that you will be written and sealed for an incredible year of spiritual growth and development, enjoying your children and grandchildren, and sharing your beautiful gifts with all of us Litvaks. And now I’d like to share a few words from Rabbi Arnold himself. Shabbat shalom, dear friends. Cecile and I wish you all a Shana Tova uM’tuka — a Good and a Sweet New Year. And while we’re talking about goodness and sweetness, how about our well deserved honoree, Linda Cantor? Could we want to know anyone more gooder, more sweeter? Look at her. Such a warm smile — a shayneh punim (kinehora). Such an inquiring mind. Such a freshly scrubbed soul. In days of yore, even while devoting great energy to the care and feeding of Daniel, Laura, Andrew and Richard, and to the students in her classroom, Linda was exploring the life of the spirit. In the early 90’s, I discovered Elat Chayyim Retreat Center and began finding new paths to my own spirituality. Linda was already involved there; and she’s still discovering new paths to explore. Some folks find a life of inner contemplation so satisfying that they become quite self-involved. They detach themselves from the rest of us, preferring a private love affair with God. Not so with Linda. The deeper she searches within, the more broadly she looks around her for causes or individuals who need her commitment and energy. Our Vassar Temple community is greatly blessed to be so high on Linda’s priority list. So, as we say up here in Red Sox Nation, I think it’s “wicked cool” that you’ve honored me by presenting the Arnold Award to my friend and teacher, Linda Cantor. I hope you folks will join her in spreading around more goodness and sweetness in our New Year. We continue to open all events to women of the Temple. This has proven successful in seeing new faces as we strive to create a welcoming environment. Moving forward we will focus on tracking and enhancing the membership listing. Leadership: Laura Brundage and Danah Moore have completed their 2-year term as co-presidents. The new president will be announced soon. This committee started as an “interest group” in 2014, defining goals and a vision for ritual music at Vassar Temple. Our initial focus was on helping Rabbi Berkowitz’s transition as temple Rabbi from a music perspective. The group also set a vision for future activity, and later formalized as a committee to review current progress and move toward implementing that vision. •	Arranged for purchase of an electric piano with a generous grant from the Lipshutz Fund. The piano is portable enough to use in different parts of the temple building. The KORG keyboard, and accompanying amplifier/speaker, are a wonderful addition to the temple’s music component. The piano can play a variety of sounds ranging from piano sound to strings (as in part of an orchestra), bass and other tones. o	Joe Bertolozzi introduced some new melodious sounds to our services, alternating the organ and piano, and even using the two together, producing some very exciting variations on our Shabbat melodies! o	As with anything new, the music prompted some concerns about volume, which were addressed with Joe. •	The committee provided feedback to Joe on appropriate volume when using the instruments. This will be ongoing. •	Ways to improve further on ritual music, along with proposing that Joe give a talk about the various instruments, the significance and tones delivered by each. •	Bring in a cantorial student for occasional Friday night Shabbat music, which was one of the group’s key goals in the vision for future temple music, defined earlier. •	Recommendations for the future. The Vassar Temple Ritual Committee has met monthly this program year except for February when the Rabbi Installation event took precedent. There are 13 members, the majority of whom regularly attend the Tuesday night meetings. The Chair of the Music Committee normally attends Ritual Committee meetings insuring close coordination. The High Holy Day responsibilities are being incorporated into the Ritual Committee responsibilities and will be shared amongst many individuals. The Ritual Committee Chair is overseeing this initiative and, therefore this year, is HHD chair as well. To develop programs encouraging expanded participation in worship services by all segments of the congregation. 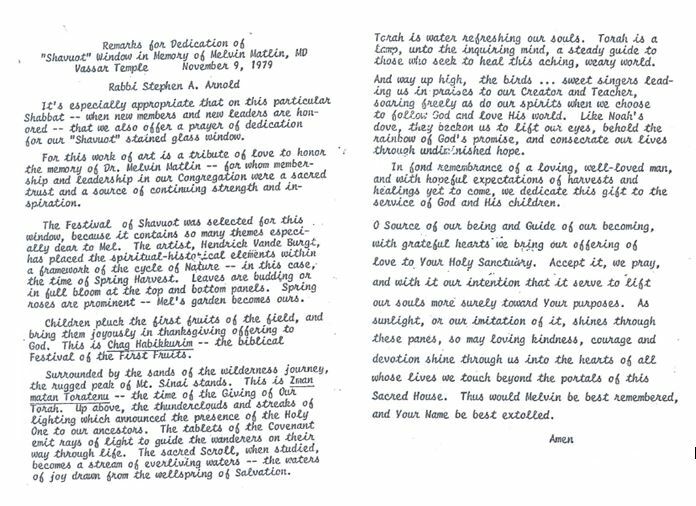 To nominate and choose the recipient of the Arnold Award each year (for contributions to the religious life of the congregation), and to arrange for its presentation at the Selichot observation prior to the High Holy Days. To arrange for the setup and leadership of lay-led summer services. To coordinate with other committees involved in the religious life of the congregation, especially the Music and High Holy Day Committees, but (as appropriate) including other committees including Religious School, Publicity, and Adult Education. To arrange for summer service leaders in Rabbi’s absence..
•	Introduced an opening meditation at RC meetings encouraging each member to participate. •	Developed a chanukah video designed to encourage a more an approach to the celebration that conveyed the deeper meaning of the holiday. •	Plan to offer a “proneg” before the winter services [beginning November 2016] rather than the “oneg”. In cooperation with the VTS, an appetizer type fare [cheese, fruit crackers, hummus, nuts and so one rather than sweets] would be provided between 6pm and 6:15pm, with services following immediately. This change has the advantage of allowing people to leave right after services to have dinner and allow late comers the opportunity to be present for the whole service [maybe missing the proneg, unfortunately]. •	Ron Rosen offered to spearhead an initiative to take our spiritual services outdoors on occasion, offering a prayer opportunity in a natural setting. •	Added a meditation service on the afternoon of Yom Kippur. •	Switched to Mishkan Tefilah from the Chumash as gifts for the B/M students at Simchat Torah. •	Discussed the evolution of incorporating Mishkan HaNefesh as our HHD prayer book. In 2015 the High Holy Days were orchestrated by a sub committee chaired by Perla Kaufman. Going forward, the RC with support foremothers int he congregation will be responsible for HHD related tasks, including scheduling services and all activities related to Selichot, Rosh Hashanah, Tashlich , Cemetery Service Yom Kippur, Simchat Torah and Sukkoth. Modified schedule for the HHDs: combined the two erev services into one. A survey was done to insure that input from a broad section of the temple community was considered before making change. Added a meditation service on the afternoon of Yom Kippur. Out door hike on Sukkoth [September 27th]: Locust Grove . Nine human participants; one canine. At the request of the President, a Sukkoth Open House was held [ October 3rd]. There was limited attendance, but those who stopped by, including one of the city’s mayoral candidates, expressed positive comments. Discussed the involvement of additional voices during the HHD services, reimbursement policy as well as varying the musical accompaniment with different instruments. Switch to Mishkan Tefilah from the chumash as gifts for the B/M students at Simchat Torah. Discussed the evolution of incorporating Mishkan HaNefesh as our HHD prayer book. At rabbi’s request, appeal speeches were moved to the erev services. Pizza Dinner on October 4th: Israeli dancing. 40 attended. Well received. February 5th: Rabbi’s Installation dinner and service: huge event with 160+ people . Guests included President of the HUC- JIR; Mayor Rob Rolison; and Cantor Kaplan. Proclamations from government officials were delivered. March 11th/12th: Joint Shabbaton with Temple Beth El. Speaker was Rabbi James Michelson. Well received. A program for youth proceeded the traditional service. Arranged for Saturday morning Shabbat programs in November. 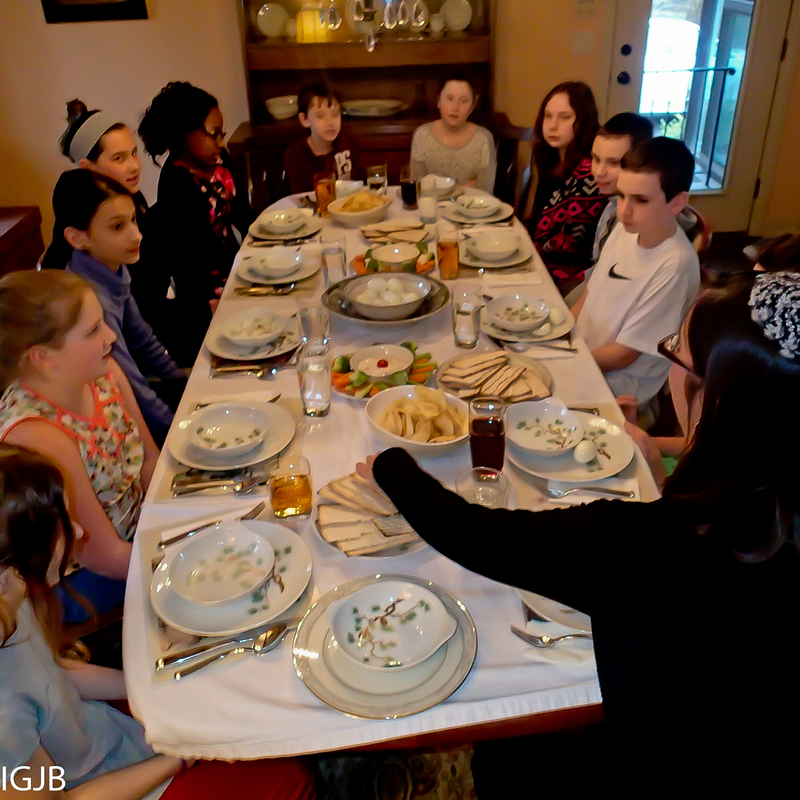 January and February with a Torah Service followed by a Kiddush Luncheon at each. November 14th: A discussion with Imam Antepli took place in conjunction with Shir Chadash; attended by over 50 people. January 23rd: Environmental Panel with Paul Ciminello, Peter Grofman and Marge Groten, in combination of the celebration of Tu B’Shevat. 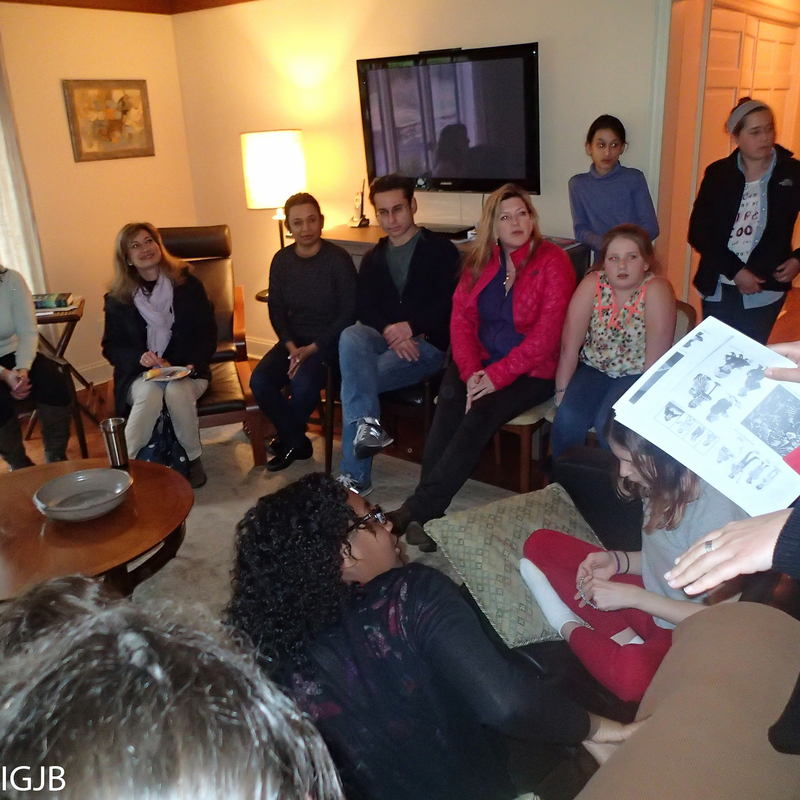 February 27th: Director, Arlene Stein, of Reform Jewish Voices of NY was the guest speaker. Most of the programs had good attendance, with about twenty to 30 people attending each morning. Shabbat Noach: A Greyhound Rehab and Rescue representative was scheduled as the speaker for Shabbat Noach on October 16th ; during the oneg 6 greyhounds were available to interact with service attendees . This was well attended and well received. Torah To Go: Adriance Library – a program to introduce the community to the Torah scroll took place in March. Well received. 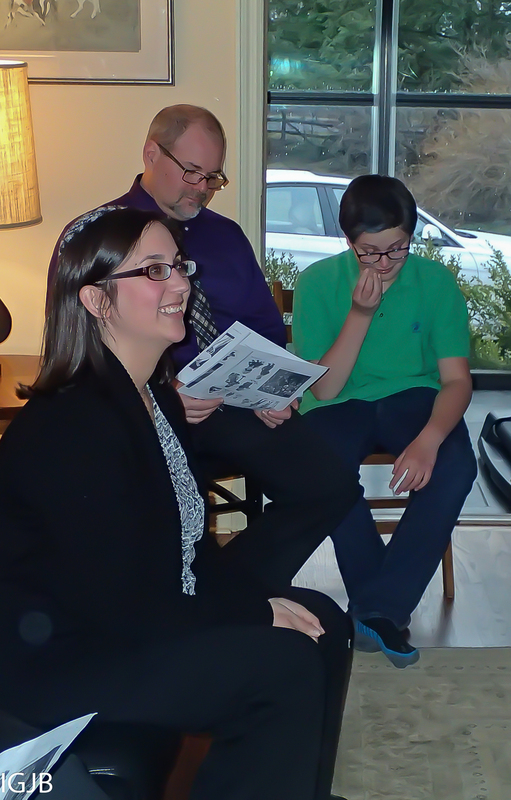 Torah Yoga Program was offered by member Rebecca Acker-Kryswiski and was well received. Chanukah initiative: “The Eight Nights of Chanukah” – a video experience put together by the committee and made available on line. The content purpose was to offer members a meaningful and tangible way to be involved in a celebration of thanks, beyond gift giving. Changed the format for the Purim spiel so that the Megillah reading and the spiel occurred on the holiday : March 23rd. Requested the finance committee to allocate funds to the RC to be used at the discretion of the chair for the purpose of promoting RC goals; $500 have been set aside. At the request of the chair, the committee spent several months discussing and then formalizing a Mission statement; see attached. The process helped to galvanize the committee as a working group and establish the guideline serving as a platform for future programming and policy decisions. It was very important that, if created, this be a “living document”. Coordinated and arranged (thanks to Polly Lewis and Rosen with support from Sandra Mamis ) the first night Seder on April 22nd which was attended by about 70 people and continues to fill a need in the community. Handled nominations for the 2015 Arnold Award, with the selection of Melissa Erlebacher as the awardee presented at Selichot in September. Preparing to select the 2016 Award winner. Expand the committee inviting a broad range of individuals including relatively new and uninvolved to “old timers’ in an attempt to offer diversity. Improve communication between all committees with an emphasis of making sure we provide each other support and strive toward some common goals. Expand outdoor worship experience to events accommodating the elderly and infirm. Add variety to shabbat worship experience through music, sermons, service types and locations. Attempt to focus the needs of parents and children whenever possible during planning or ritual experiences. Find creative ways to make Judaism meaningful. Meet Vassar Temple’s New Religious School Director! Shalom! My name is Julie Makowsky and on July 1st I will begin my new position as the Education Director for the Vassar Temple Religious School. Over the course of this coming school year I hope I will have a chance to share with you news from the Religious School as well as information about our school programs and curriculum. At this time I would like to use this forum to tell you a little bit about myself. I have called the Hudson Valley home for 8 years. That is a record for our family as my husband, Bob, was in the Coast Guard for the first 14 years of our marriage and we moved around a lot. I began my career as a Jewish Educator in many years ago after graduating from The Ohio State University with a Jewish Studies degree. In the Fall of 1988 I found myself in Jerusalem where I spent the next two years studying and learning about Jewish Text and Hebrew. After returning to the States, I was awarded a Melton Fellowship at The Jewish Theological Seminary. I graduated in 1992 with a Master Degree in Jewish Education. In 1992 I also married my husband, Bob. We lived in Brooklyn and then moved to Long Island. I served a number of congregations while Bob served the United States Coast Guard as a Search and Rescue pilot at Air Station Brooklyn. In the following years we added our daughter, Talia and son, Noah to our family. The Coast Guard moved us frequently which gave me opportunities to work in a number of Jewish Communities in a number of different capacities. We lived in worked in Traverse City, Michigan; Aguadilla, Puerto Rico; New Haven, Connecticut; Atlantic City, NJ and finally Columbus, Ohio. We moved to Rhinebeck, NY in 2008 and we promised our children that they would be able to complete High School without moving again. Since moving to the area I have served both the Woodstock Jewish Congregation and Congregation Emanuel of the Hudson Valley as Education Director. I am excited to begin the next phase of my journey serving the Vassar Temple community as the new Education Director. I look forward to getting to know each and everyone one of you in the coming months! What Can Vassar Temple Do About the Refugee Crisis? Many of us have watched the suffering of refugee families and felt helpless in our ability to take a concrete action to actually make a difference. As Jews, ethical teachings in the Mishnah compel us to perform acts of Tikkun Olam. I am writing to share some exciting news about how our Temple and those interested can help! Last month, our Vassar Temple Board voted to join with Vassar College and other local faith-based institutions in a collaboration called the Vassar College Refugee Solidarity Initiative. The leaders of this project expect there to be at least 8-9 congregations who will each sponsor a refugee family for the initial phase of the project. Vassar Temple’s action has set a fine example of leadership for other congregations and fellowships in our region, and others are already following our lead. Because security is essential, and because we are not inventing the wheel, this project and the refugee family that will be sponsored to resettle in Dutchess County, will be under the supervision and guidance of a designated refugee resettlement agency, also known as a VOLAG. These agencies work together with the U.S. State Department to receive and relocate refugee families all of whom have been screened and vetted through diverse offices in the State Department and Homeland Security. A full description of this project and an overview of United States Refugee Law and Policy is attached to this post (see below). The financial obligation of sponsoring a family will be covered through funding outside of the Vassar Temple budget that will include private and community foundation resources and possible support from Vassar College. Our Temple’s Social Action Committee is spearheading our efforts, and will seek volunteer efforts to assist and support the designated family with housing, schools, medical care and employment. The Ciminello family has already volunteered to provide housing for the family we sponsor. Through this project we are able to do more than advocacy and fundraising; we can actually welcome a family to our community and demonstrate our commitment to addressing the worldwide refugee crisis. Perhaps someday, that family’s experience will somehow shape the world in positive ways! Ken Yehi Ratzon! In the coming months, we will be forming a committee of Temple members who want to join this project’s efforts in some way. The current leadership for the project is: Andi & Paul Ciminello, Jen Dahnert, Marian Schwartz, and Rabbi Berkowitz. We are working very closely with Dr. Maria Hoehn, Professor of History and Chair of the History Department at Vassar College. Information about the project will be available at our Congregational Meeting on June 15th and there will be media announcements about this newly formed collaboration. If you have questions or are interested in supporting this very important project, I ask you to contact one of the members of this committee directly, or you can also speak with Rabbi Berkowitz. Naturally, you are welcome to contact the temple president about this decision from a board standpoint. I am very proud of Vassar Temple for taking this important step. I ask you to have faith in our efforts and to put what we are doing in needed perspective. We are a progressive, compassionate and resourceful community. We can’t solve the whole refugee problem, but we can save at least one family. The children of James and Dawn Effron, Craig, Blair, Drew, and Brooke, and their families, made generous gifts in memory of their father James, to fund the restoration of the magnificent stained glass windows in our sanctuary. The children of Bea & Marty Gross, Nancy and Maggie, together with Lila Matlin and her daughters also contributed. 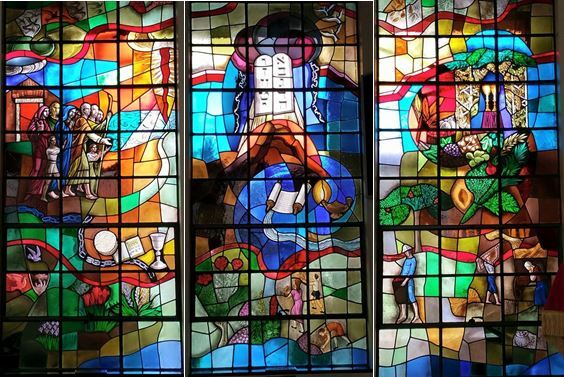 The original inspiration for the installation of the windows was to honor the late honor Dr. Melvin Matlin (z”l). Dr. Matlin, husband to Lila Matlin, loved Vassar Temple. The windows are symbolic of Dr. Matlin’s strong Jewish values, and include images of some of his other loves – children and gardening. The Gross’s and Matlin’s were very close friends, and when Dr. Matlin passed away, Marty and Bea, led an effort to make the windows happen in his memory. The temple’s Sisterhood joined the effort as well, and today we are blessed to have these three magnificent works of art gracing our Sanctuary and telling the story of the Jewish people through images depicting milestones in our past. From outside on Friday Shabbat evening services, or any evening occasion when the sanctuary lights are on, for people driving by or walking down the walkway to our temple, the windows are a delight to see. Now, thanks to the restoration they will be even more visible. Emily and Howard Himelstein made an extremely generous gift to Vassar Temple in order to construct a stone patio in front of our existing portico and entrance overhang, facing the stained glass windows. Two existing large shrubs on the edge of the portico, which block the view of the windows, will be removed and in their place a 45’ x 15’ patio will be installed by Adams Landscaping in May, just in time for our June picnic, and of course, for our Shavuot service. The Himelsteins feel blessed by their relationship with Vassar Temple over the years, including the many friends they’ve made at the temple. To show their affection and appreciation for our temple, they wanted a way to make a gift that could be enjoyed by all of us for many years to come. This new patio will give our temple needed space and a place to gather when coming & going from services and other occasions. We can use the space in many ways, and once benches are added, the patio will offer a lovely place for friends to sit and talk. There will be new landscaping and lighting surrounding the patio. Emily and Howard and found a wonderful way to show their everlasting love for Vassar Temple. Together, the patio and the restored windows make a beautiful combination and a tremendous enhancement to our temple. How fitting it is that the ceremony to dedicate the patio and the windows restoration is at the same time – and on Shavuot! Vassar Temple, and all of us, are blessed by the generosity of donors. I am grateful and extremely pleased to see these very fine enhancements come about! This photo was taken by Len Greenberg of the blessing by Rabbi Berkowitz on Shavout. The blessing was bestowed on the Matlin, Gross, and Himelstein families, and all those involved in the stained glass windows and the new patio, including multiple generations. Rabbi spoke to the value of legacy. Related article from August 2015 about the Window restoration. SISTERS + NEIGHBORHOOD = SISTERHOOD! So where do we see the impact of their generosity and tireless good will? Everywhere! The Onegs every Friday are a result of Sisterhood work; scholarships for teens to attend the NFTY conclaves, the Youth Scholarship Fund, the renovated kitchen and upgraded restrooms have all been funded with Sisterhood resources; the ever-popular calendar that keeps us all on track with simchas and anniversaries is a Sisterhood project; the Rummage Sale, Tiny Temple and the thousands of Hammentaschen produced on that special Sunday in the spring are financed and run by the Sisterhood; and very often, the Bimah flowers are a Sisterhood donation. . . .the list goes on. . . . Yes, the Board’s citation was well-deserved! These projects are made possible by proceeds from Sisterhood dues and benefit events throughout the year including the annual Opening, Donor and Closing Dinners, and the Rummage Sales, but also, to a large degree, by voluntary donations to the Vassar Temple Sisterhood General Fund. The next time you want to honor a special occasion or do something meaningful to recognize one of our beloved Temple Sisters, a gift to the VTS General Fund would be the perfect gesture; it is truly a gift that keeps giving! A URJ Camp Experience will Change a Jewish Child’s Life for the Better! 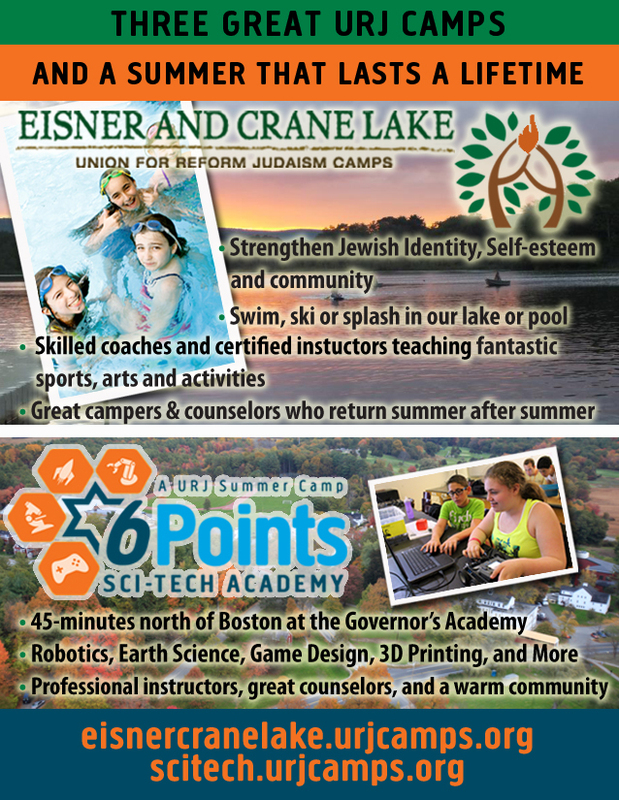 URJ camps offer a unique Jewish experience for children that is complimentary to their religious school education. We blend informal education with sports, arts, and cultural events to create an all-encompassing Jewish experience. Programs for children currently in grades 2-10 are offered. Because Vassar Temple is a URJ congregation, the URJ can offer our members scholarship opportunities if they are in need. The URJ is are also offering a “taste of camp” opportunity at our New and Prospective Camper Weekend from October 2–4, 2015 for children currently in grades 2-5. The cost of the weekend is $200, inclusive of linen, meals and all supplies. A wonderful value, on top of a fantastic experience!! If prospective families register for camp prior to January 1, 2016, we will credit $100 towards their child’s camp fees. Please share this information with your eligible congregants. Registration for the New and Prospective Camper Weekend can be found online here. If you have any questions don’t hesitate to call our office. This second greeting reflects my feelings as I join the Vassar Temple community as rabbi. I am truly blessed to be a part of the 167-year history of Poughkeepsie’s Reform Jewish community. I am grateful to the leadership of Vassar Temple for engaging me as their next rabbi, and for Rabbis Emerita Steve Arnold and Paul Golomb for providing me with so much support during this transition. I know that I will continue to rely on their wisdom and guidance as we move forward into our next chapter. There is a legend that our ancestor Abraham lived in a tent that was open on all four sides. Why would someone want to live in a home with so many openings? It doesn’t seem very practical, what with the heat, the dust storms, and the wild animals that must have been roaming about! Our tradition tells us that Abraham’s goal in living this way was that no person in need of food or spiritual sustenance should ever have to walk around in circles looking for the entrance. Abraham’s radical hospitality doesn’t end there. Not content to sit patiently in his tent, Abraham ran out to greet travelers on their way. He met people where they were and learned their needs. There is one legend that he actually built multiple houses along the road, so that people wouldn’t have to come to his tent to get what they needed! I share this story with you because it crystallizes what I hope to do as the next rabbi of Vassar Temple. My goal is for the Jewish community to be a tent that is open on all sides, ready to welcome both our long-term members and the strangers in our midst. I aim to create multiple points of entry into the synagogue and into Jewish life: through meaningful worship, inspiring learning, and the passionate pursuit of justice. I also strive to remove any barriers to entry that people may see in their path. Vassar Temple is, and will continue to be, a place where people and families of all shapes, sizes, and orientations are welcome. We open our tent to those who are part of interfaith families, those who grew up Jewish, and for those who seek to be part of the Jewish people but don’t know where to begin. Moreover, like Abraham pitching tents along the highway, I believe that the synagogue community can be a resource to those who have not even found their way to our tent. 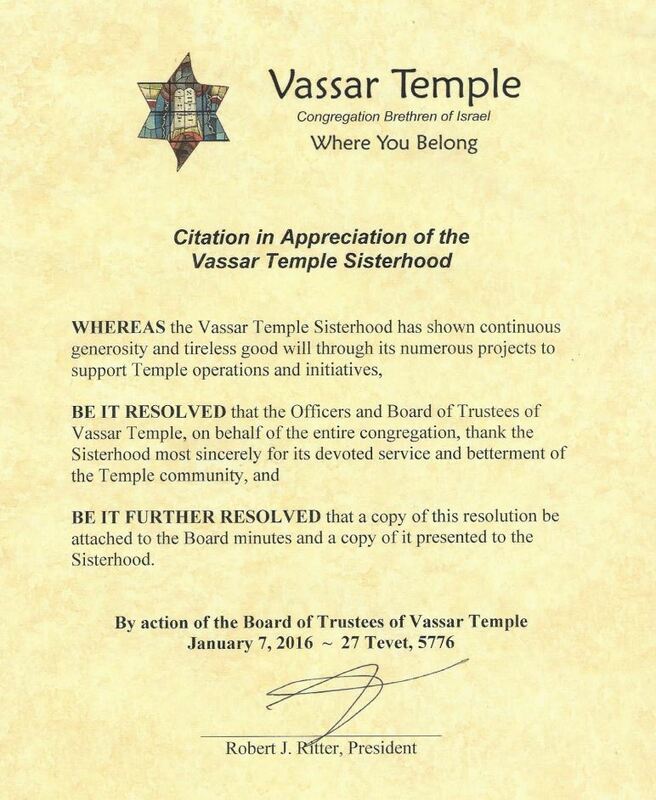 I know that Vassar Temple will continue to be a presence in the city of Poughkeepsie, both through our commitment to social action and by bringing our sacred traditions out of our “tent” and into the greater community. 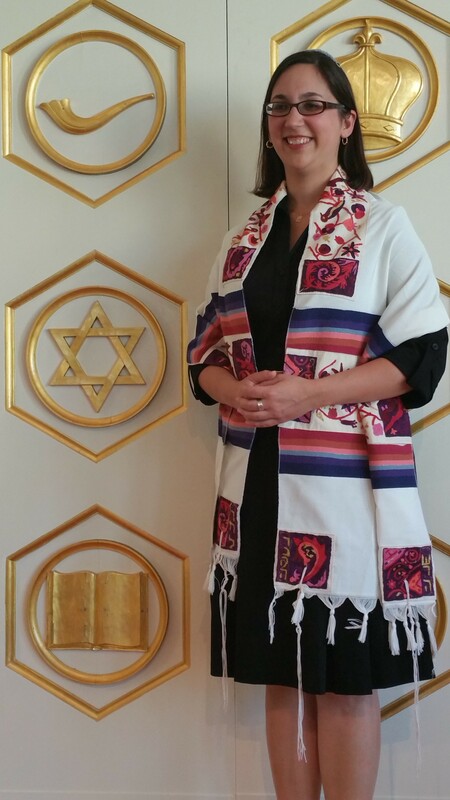 Rabbi Leah R. Berkowitz is the spiritual leader of Vassar Temple in Poughkeepsie, NY. 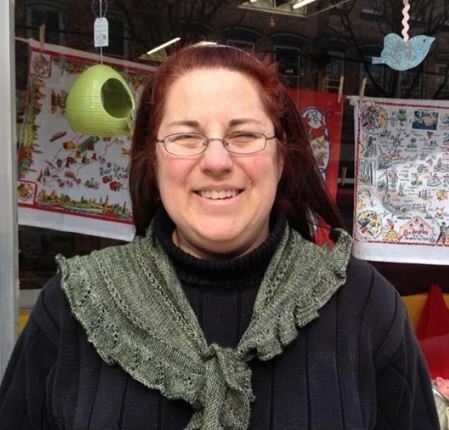 She blogs at Rabbi Leah R. Berkowitz Blog. Please visit our website at vassartemple.org. 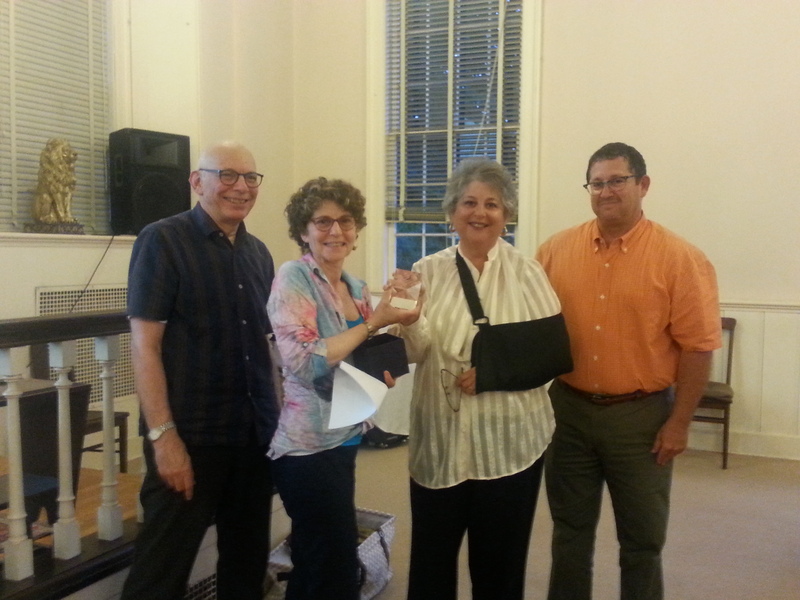 It is an honor to have the opportunity to recognize Sandra Mamis for her dedication and her commitment of time, energy and creativity to Vassar Temple. In the 26 years her family has belonged to Vassar Temple, her work has helped to sustain the congregation. To provide a list of the many roles Sandra has fulfilled with excellence would not be as interesting as to consider the impact of her far-ranging activities at Vassar Temple. Sandra has touched every aspect of Temple life in a meaningful way, often playing a leadership role. Indeed she has led this congregation as Sisterhood President, Temple President, Board Secretary and a board member for 14 years. Sandra has also led by inventing and spearheading new Vassar Temple traditions. Sandra initiated and continues to chair the annual Passover Seder. She also started the well-attended annual Vassar Temple Break Fast and coordinates them each year. Sandra chaired the Nachamu Bereavement Committee, which created an invaluable Vassar Temple guide to bereavement. These initiatives have enriched and enlarged our Temple family. Sandra has chaired numerous committees: the 2014/15 Rabbi Search Committee; the 2015 Gala, which netted almost $90,000; the High Holy Day Committee and the effort that renovated our restrooms. She always leads the way with thoroughness and attention to detail that exceeds all expectations, with consistently excellent results. 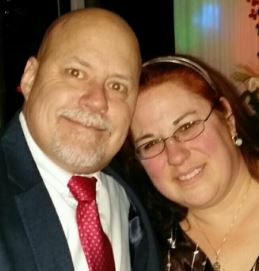 Sandra has participated as a member of committees that are the lifeblood of our Temple: the Moveable Feast Committee; the Eternal Torah Committee; and the Ritual Committee. A member of Ritual for 7 years, she is now incoming chair. This may not be a comprehensive list, but it surely demonstrates the qualities we seek in the recipient of the Founders’ Service Award. Hopefully it will inspire others to contribute the work of their minds, hands and hearts to do the same. Thank you, Sandra, for all you do for our Temple Family. Rabbi Berkowitz is Coming to Town! Rabbi Berkowitz doesn’t start as our new Rabbi until July, however she is fast at work making plans to come to Poughkeepsie and beginning to get to better know about Vassar Temple and all of us. This past week Rabbi came to town to find a place to live. Mission accomplished! She’s happy to have found a great community to make her new home, with a great landlord to boot. We would like to thank four dedicated Temple families for helping to make Rabbi Berkowitz’s visit a success in other ways! Harry and Sandra Mamis, for their hospitality in putting up Leah while she was here. 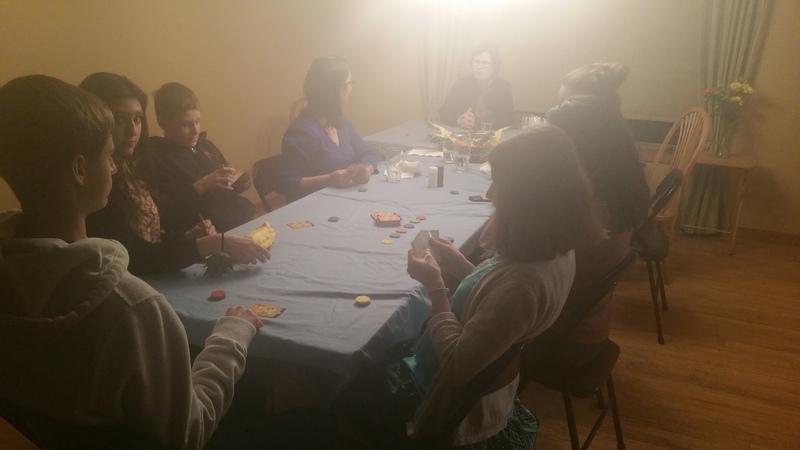 Thank you to David and Susan Hecht, Melissa and Brianna Erlebacher and Kate, Mark and Anna Metzger for hosting dinners at their homes so that Rabbi could get to know Vassar Temple Officers, the Youth Group, and eleven Bar/Bat Mitzvah childen and their parents. In addition, Rabbi Golomb gave his successor a tour of his Temple book collection, allowing Rabbi Berkowitz to select books from his office at the temple which she’d like to keep with the temple. They had another opportunity to talk about what it is like to be OUR Rabbi. Were your ears ringing?? Heaven knows we have some sprucing up to do once Rabbi Golomb turns over his office. OY – another Men’s Club project. LOL. Perla Kaufman welcomes any ideas or suggestions you may have to help with the transition. Please don’t hesitate to contact her. She’s looking forward to letting everyone know about all the ways to get involved as soon as we establish a calendar for the months ahead! Let us make Rabbi Berkowitz feel right at home and in the process, let us create new bonds among us all. Rabbi Berkowitz talking with upcoming Bar/Bat Mitzvah children and parents.